Over a 120 people gathered at Taumesina Resort last Wednesday to witness six local companies attain international accreditation in H.A.C.C.P. certification, a significant tool for quality assurance and a platform of confidence and trust between exporters and importers in the Food & Beverage industry. 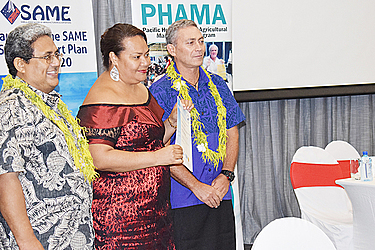 Funded by the Australian and New Zealand Government aid programmes, the Pacific Horticultural and Agricultural Market Access (P.H.A.M.A) programme provided support for H.A.C.C.P. (Food Safety and Management Programme) training and the certification process at the request of the Samoa Association of Manufactures and Exporters (S.A.M.E). President Tagaloa Eddie Wilson welcomed officials and guests and emphasised the need to improve the quality of Samoan products as well as their competitiveness on the world market. 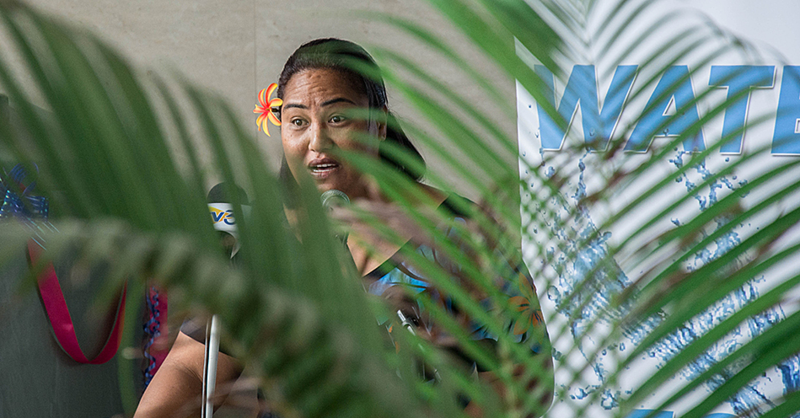 When Samoa was at the crossroads to access W.T.O., the challenge from government is for S.A.M.E. to “pull up their” socks, for export companies to improve their efficiency and be competitive with quality products in a globalised market. “Since 2009 S.A.M.E. had launched I.S.O. 9000 with 24 companies and now attaining this new milestone in their operations,” said Tagaloa. “And in 2014 with the assistance of P.H.A.M.A., the H.A.C.C.P. certification programme was facilitated and launched by Prime Minister Tuilaepa Sailele Malielegaoi. Tagaloa acknowledged the contribution of the public private partnership of government, S.A.M.E., P.H.A.M.A., S.R.O.S., and farmer groups in helping address challenges to the export value chain. As a direct result of their achievement, the certified companies have already begun to receive an increase in demand for exports and new export pathways are expected to be established. S.A.M.E. is targeting Samoan Merchandise export revenues to hit the $100 million tala mark by 2020 - which triples Samoa’s exports when the S.A.M.E.-Samoa Buy Samoa Made Export drive started in November 2013. Australian High Commissioner Sue Langford congratulated the six companies attaining H.A.C.C.P. certification. “The six companies are recognised by New Zealand and Australia, and other export markets. The H.A.C.C.P. 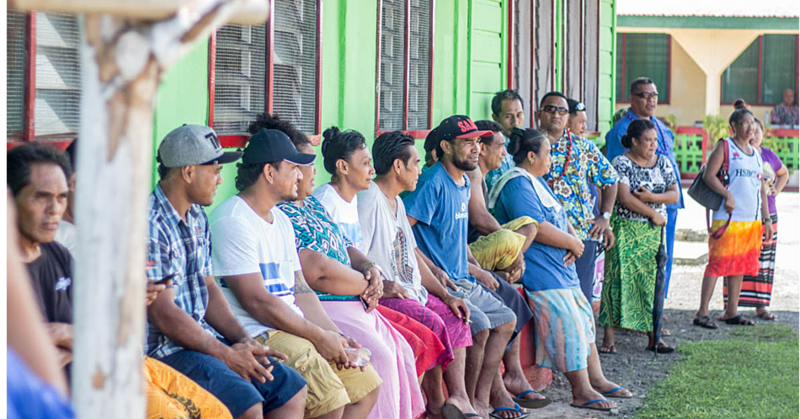 certification programme is central to farmers’ and processors’ aims, to maintain existing markets and to build capacity to value-add Samoa’s primary produce. In concluding, Ms. Langford says she wants to see continuing collaboration between S.A.M.E., P.H.A.M.A., government and other development partners to help improve the competitiveness of Samoan products on the world market. 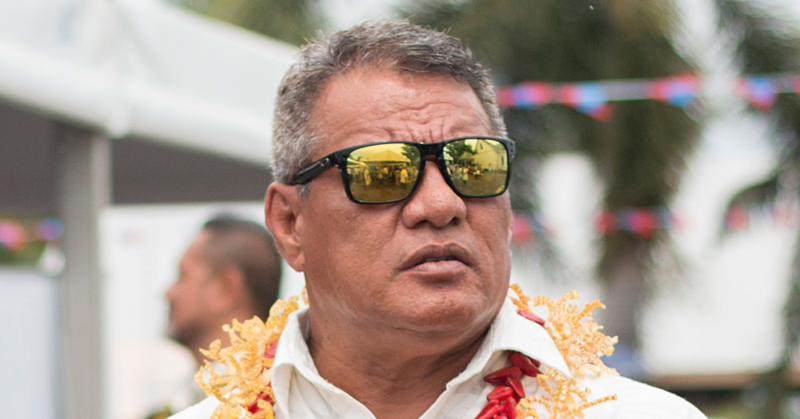 Minister of Finance, Sili Epa Tuioti, gave brief remarks from the Samoan government side, pointing out the recently launched Strategy for the Development of Samoa (S.D.S.) 2017-2020 with an emphasis on accelerating sustainable development and economic opportunity for all. He noted of S.A.M.E. in launching their Samoa Export Plan 2016-2017 – 2019/2020 coincides with the S.D.S time frame, and suggest that the two documents aligned to the same objectives and complementary. S.A.M.E’s Export Plan meets four out of the five Key Outcomes of the S.D.S Priority Area 1: Economic- of the S.D.S Plan. He noted the second key outcome of the S.A.M.E Export Plan which aims for agriculture and fisheries development to be sustained, which aligns well with the S.D.S to re-invigorate agriculture. The Minister pointed out the agriculture sector hasn’t been performing well in past years, and thus needs to be properly re-formed to produce sufficient supplies of primary products needed by S.A.M.E companies for value-addition and for exports. He said government recognizes the private sector as a key development partner helping address economic development and creating jobs. The food and beverage companies with H.A.C.C.P. certification are now global players and must maintain competitiveness with a much more discerning consumer base. The Minister acknowledged S.A.M.E. partner P.H.A.M.A., financially supported by the governments of New Zealand and Australia, for initiating H.A.C.C.P. certification and with partial funding by the Government of Samoa, S.A.M.E. had provided supportive resources. H.A.C.C.P. certification is a very expensive process and companies themselves invest a lot of their own resources to attain this international recognition. The S.A.M.E. Export Plan targets local agriculture and is for everyone from farmers to store owners to business owners. At least ten other companies have enrolled in the to H.A.C.C.P. certification programme for the Financial year 2016-2017.